Adirondack Lifestyle ™: Happy Eostre! 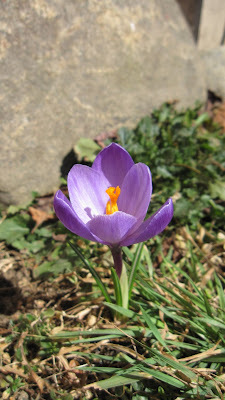 This crocus bloomed at the homestead for the first time today. The bulb was planted in 1998 in honor of the first black lab to live here, Zeek of Cascade Heights. Wow.